“It’s an ‘unschooling school,'” is what someone told me when I first heard about Clearwater School, and Sudbury schools in general. How appropriate is that characterization? People are born learners. Children are trusted to have the desire and ability to engage in—and learn how to operate effectively in—their world. Coercion creates resistance. Forcing people to learn something tends to spoil it for them. It becomes something they have to do, not something they might choose to be interested in. Force takes away that possibility of choosing. Done systematically, you can spoil a whole range of subjects. Consequently, force in the form of required curricula is eschewed. Conversely, people learn best when they’re interested in what they’re learning. A high value is placed on what children are interested in. Supportive energy is directed to helping them succeed in the goals they choose for themselves. People are different. They have different interests, aspirations, and passions. Consequently, children aren’t expected to learn the same things as everyone else. People grow at different paces. Consequently, children aren’t expected to, for example, learn to read at a specific, pre-determined age. Kids at a Sudbury school are regularly separated from their parents for a significant period of time each day. They pursue their interests in a context that’s free from any form of (subtle or overt) parental influence. The social structure of a school is necessarily different than the social structure of a family. Sudbury schools are run democratically, where School Meeting is the single authority within the school. The aspects of separation from parents and formalized democratic process make Sudbury schooling look quite different from unschooling, as it turns out. I think I’ll explore what’s significant about these differences in a future article. I have been wanting to cover this on my blog for some time now. I never could quite articulate it the way I wanted. I haven’t had much time to research Sudbury schools. Thanks so much. I will look forward to your future writing on this subject. Hi Heather, thanks for stopping by. (BTW, I love the title of your blog!) I’ll definitely be writing some more about this topic. One of my problems with SVS is this idea of kids needing to be free from “parental influence.” Care to elaborate? Am I reading something negative into that sentence in your post? And can families not be “democratic”? Looking forward to your feedback. Hi Wendy, short answer now. Longer answer in a post to follow. Looking forward to them and to the continued discussion. There are lots of ways to define “parental influence.” I’m not alone among unschoolers in finding that to be a problematic way to describe the relationship between adults and kids in a family. >And can families not be “democratic”? I do not think a family can be democratic in the way a larger community of people can be. Consider the Judicial Committee used in Sudbury schools, where members of the community not involved in the conflict mediate the case. Discipline and conflict mediation in the home must be navigated by other means, because of how few individuals there usually are, and intimately bound most or all of the family members are in the issue. Parents have been the ultimate power in a baby’s life. They are the bread winners and make life possible. They are the ones that create democracy (paying tuition for a democratic school, or establishing the “family meeting”), and they can take it away. It is difficult if not impossible for the power relations to be balanced for this reason. The relations are based on love of course, and are well guided. I don’t think parental involvement is a bad thing, but as far as authentic democracy goes there is that issue. The democracy experienced by students in a Sudbury school is qualitatively different from democratic practices in the home. I, as a staff member, cannot turn off the democracy. I am legally bound to be a member of the democratic body with no special privilege. This differs from some “democratic” progressive schools, where the staff can ultimately say “no” for their own reasons. Even if they only very rarely say “no”, the context is stained by this possibility and it is not democracy. I only want to respond to that one point. Deep parental involvement is crucial for children. SVS doesn’t want to destroy the family, but simply to make space for an authentic democratic mode as an extra dimension in the life of a child who has (or has not) an involved parent. Elliot, yes, I think you’ve well pointed out the difference between democratic and “democratic.” There are few times when my family looks like a “democracy.” It’s more like a benevolent dictatorship. Sometimes we vote on things (not usually), but even then it’s up to the parents to decide whether to use a vote or not. But at school, everyone truly has equal power when it comes to school-wide decision-making.
. . . HOMESCHOOLING? There is a particular philosophy of homeschooling, often referred to as “unschooling,” which shares many similarities with the Sudbury model. John Holt was its best known proponent, and his writings have been invaluable to us in helping to explain just how learning can happen without teaching, and why on earth a child might choose to learn arithmetic or some other supposedly dreadful subject. Unschoolers believe, as we do, that children are born curious about the world and eager to succeed in life and that kids learn best through experience and experimentation rather than by being told how and what to think. In the words of John Holt: “Real learning is a process of discovery, and if we want it to happen, we must create the kinds of conditions in which discoveries are made. . . They include time, freedom, and a lack of pressure.” But unschoolers, for the most part, see the family environment as the best place for children to grow, while the Sudbury model believes that, as the African proverb states, “It takes a village to raise a child.” Children and parents have complex relationships and interdependencies which make it harder for children to discover true independence within the family. In the environment of a Sudbury school, children face direct personal responsibility for their actions, without the emotional baggage that family-based accountability can sometimes carry. In addition, children are more able to develop some important social skills in a democratic school — the ability to tolerate diversity of opinion, to speak out against inappropriate behavior, and to develop and carry out group projects, for example. In most homeschooling families, the parent sees him or herself as ultimately responsible for the child’s education, while at Sudbury schools, that responsibility rests squarely with the child. Our younger daughter, Chloe, went to Summerhill for a term when she was 12. I’ll be interested to read your future comments about your Sudbury school. We certainly had many discussions about the differences between Summerhill and our “radical” unschooling when she came home from that experience. One significant factor is that A. S. Neill espoused the separation of parents from the integral processes of Summerhill but I don’t think he was especially anti-parent; however, his daughter, who’s been running Summerhill since sometime in the 80s, *does* actively dislike and discourage any form of parental input in a distinctly antagonistic way. Frank, that’s really interesting. The anti-parent sentiment would probably make me not want to present that choice to my own kids. And I’d miss them too much anyway. At the same time, I think it’s awesome your daughter had that opportunity. I imagine it was a real growth experience for her, whatever her positive/negative take on the experience. We unschool and I actually agree that sometimes, in some cases children can benefit from time away from their parents, particularly in pre-teen and teen years when independence can be liberating and a learning experience. On the other hand most of us would probably agree that teens and pre-teens need a safe home base from where they can test the waters so to speak and time away from the family doesn’t always have to be in school . I feel it’s all completely dependent on the family situation and blanket statements either way don’t take in the bigger picture. Hi Yeshe, thanks for chiming in. Yes, how kids might get those chances to separate for certain periods of time can vary; you’re right that it doesn’t have to be at a place called “school.” I also agree emphatically that it depends on the family and the individuals. Blanket statements are sometimes useful–for clear, unambiguous communication of a key idea. Or for being provocative and making people think in new ways. But I agree that blanket statements are also in a sense “violent” to the phenomena by focusing on some things and ignoring others. I love the ideas of Sudbury. Where I live, there is a Sudbury-like school where they do not discourage parents to be involved. Parents are encouraged to stay as long as they want and to even help out during the day. That way a child could ‘see’ his parent somewhere on the grounds while walking around in his daily pursuits. I also like the way we get a free 3 day trial as if enrolled. My son didn’t care that he was in another room without me. So in summary, I think it depends on the readiness of parent and child to their level of separation and it depends on the willingness of the Sudbury school. I would love to hear more about that Sudbury-style school you mentioned in your post. Where is it? What is it’s name? Are there others like it? Is there a website I where I can learn more about it? My children, ages pre-teen to the oldest who just started college, have been radically unschooled. Some chose to try school outside of the home because they have that freedom but also chose to come back home. I like to pride myself in having completed 21 years of personal research into the different styles of schooling and have just recently re-checked into the Sudbury style of schooling. First I would like to say that it is very comforting to know there is a place out there that offers this type of unschooling in a private school setting. I wish there were more Sudbury schools around so that everyone could have the option to attend in their own town. Now having said that, Sudbury schools are fairly expensive and I can’t speak for all Unschoolers, but for me we just don’t have that kind of expendable income. In order for my children to be able to attend one of these schools we would have to a.) relocate because there are no Sudbury type schools around, which means selling the house we live in and having my husband find a new job and b.) myself going back into the work force, possibly full-time just to afford to enroll them. So my minds is thinking hummm, enroll them and sacrifice working my tush off all year and possibly start to resent it,especially if they ended up not liking it, or continue radically unschooling from home in the town I have lived in for almost 40 years and like a lot. The benefits I see with Sudbury is the networking with others and social interaction. They have lots of things they can choose to do. It would also calm their concerns that they are not “behind” on learning like other kids their age. On the other hand I think I could find things to do as a radical unschooler to open up my child’s social experiences if they so choose. One problem I think my kids would have with going into a Sudbury school is that it is mandatory to attend at least 5 hours each school day. I don’t think that they would be up to that long term. They love their freedom too much I think. Sure they would probably like it at first but than reality would set in and it wouldn’t be pretty for all concerned. So I got to thinking. Why don’t I just try and create more experiences for them instead of enrolling them into the Sudbury School? I wonder how many kids that are enrolled into the Sudbury Schools come from two or one parent working households that find it a necessity to have them somewhere all day while they are working? That is not the case for our situation. I am a stay-at-home and supplement my income doing odds and ends so that I can stay home with my children. I wonder how many persons are in the same situation as I am and have thought about enrolling their kids into a Sudbury School w/o needing to as a necessity? Thanks for sharing your decision-making process on this. To answer one of your questions, many parents have sacrificed a lot to send their kids to Sudbury Valley School. Why? Because they valued the experience so much for their kids. In that sense it became a “necessity” for them, but not as some kind of second-choice compromise. Some unique things about Sudbury Valley School are 1) they have low tuition relative to other private schools (and have kept their tuition below public school costs-per-child), and 2) they do not offer any financial aid. So not everyone is able to afford it, even though it is relatively inexpensive. 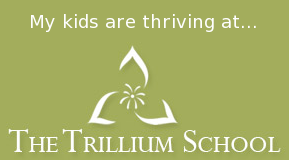 However, many other Sudbury schools, including The Trillium School, offer tuition assistance. The philosophy at Trillium is that no one should be turned away purely for financial reasons. And finally, we did relocate to go to a Sudbury school. It all comes down to what you think is best for your kids. If it is okay to say, it sounds like yours attend Sudbury Valley in Framingham, MA. If so that is the one I was comtemplating enrolling mine into either this coming school year or next. Was thinking of even visiting up there early June, before Sudbury Valley lets out for the summer, and enrolling them for a week to see how they liked it. Also while I was there I was going to look around to see where to possibly live. I checked into living around Framingham vs living inside Framingham. Heard from some online sites that Framington may not be the place for us. Problem is I have never been to MA and would really need guidance on a city to live in. We love the country but currently live in a city. My husband works as a salesman in our town and would most likely get a job in Framingham as a salesman. That way he can also bring the kids to Sudbury Valley and pick them up after work. I have opened up communication with the UU church in Framingham about any ideas on the area. They did tell me that some of their members children go to the Sudbury Valley School so was hoping to attend services up there before they close services for the summer and hopefully get to meet some of these families and of course try out their church. If you have any ideas on places to live inside MA that is in decent driving distance of Framingham it would be greatly appreciated. We are kind of naturalist and we strive for a vegan lifestyle and hope to grow our own food so that is why I through in “country” as a place we would love to live. My daughter loves horses as well and we would love to be able to give her the opportunity to board a horse nearby a place we were staying where she could go riding as well. My kids attend The Trillium School in Western Washington (on the Kitsap Peninsula). A bunch of kids just did a horseback riding field trip to a nearby farm, and my 7-year-old daughter might do horse camp this summer. I live in the woods. I’ve never lived in MA, but I did get a chance to visit SVS’s beautiful campus a couple summers ago. My daughter attends a school that is very similar to Sudbury schools but without some of the issues that unschoolers might find problematic with Sudbury. Second Foundation School is celebrating their 40th anniversary this year! Steph, that sounds like a neat school. It reminds me of the approach taken by The Village Free School (in Portland, OR). See http://villagefreeschool.org/ I haven’t visited, but I did get a chance to speak with one of the founders (at an unschooling conference, actually). Both these schools definitely have some commonality with Sudbury schools (democratically run, etc.). And Trillium School, like Second Foundation School, is committed to ensuring that we turn no family away purely for financial reasons. We also have a former unschooling family (besides us) who are active Assembly members. It’s true that some unschooling families won’t feel as comfortable letting go as much as Sudbury enrollment requires (e.g., separation from parents, no adult-initiated curricula). So it’s definitely good to have alternatives. Thanks for sharing the link! It doesn’t seem fair that all the good schools (Sudbury, Montessori, etc.) cost money. Very elitist. I’m a poor single mother, and the next best thing to radically unschooling (which I am not able to do at this time) would be to send my son to a Sudbury school. Whether their tuition is lower than this or that school’s tuition doesn’t mean diddly-squat to me, especially since they don’t waver on the price for any reason. Yes, very elitist. Lots of Sudbury schools offer financial aid, including the Trillium School, which seeks to be maximally available to all families who want to enroll, regardless of socio-economic status. Your generalization that all Sudbury schools do not offer financial aid is false. Some do, and some do not. Interesting to see some action on your blog, Evan, but wow! Not just elitist but *very* elitist. Me, I’d be delighted to be a socialist but, since I hafta live every day in reality, I’m a realist and I accept that we live in a capitalist society. We could argue philosophy all day but at the end of the day “fairness” doesn’t enter into the equation. In a capitalist society, everything costs money. People with lots of it have lots of advantages. People with little have few or, at least, fewer. I’m sorry you (shmrd) are among the latter group but I’ll bet that the staff at any Sudbury-type school are not exactly rolling on dough themselves. You say you can’t unschool. Why not? I know a couple of women who are single mothers on welfare who are doing it. Hi Evan – After doing a lot of reading about Sudbury Valley I found myself in a similar situation to what you described. I like the idea of being with my children but see the value in the community environment. I had considered starting an in-home style coop for my daughters preschool years so it made me think why not and unschooling coop? Community style learning but not in a single location. Do you know of any in the Poulsbo area already? We are going to check out Trillium soon too so maybe we will see ya there! Hi Robin, I don’t know off-hand of any local unschooling groups, but I do know some former homeschoolers (now a Trillium family) who might know. I’ll ask them. We’d love to host a tour at Trillium for you. Also, if you want to come see the annual Trillium Haunted House, it’s happening tonight from 6pm-8pm, and again at the same time on Sunday. Thank you. Any help finding an unschooling group would be greatly appreciated. I called Trillium and scheduled a tour for Wednesday of next week 10:00AM. Maybe I will see you there? We almost came to the haunted house – very excited about the them – I was born in Louisiana =) but my oldest is only 4 so we held off…. Hopefully see you next week! Wonderful – I look forward to meeting you! Hi Evan – Just want to say thanks for showing us around the school and lending us the Sudbury book. One of us will likely be there for info night. Take care! Hi Robin, you’re welcome! I look forward to likely seeing one of you on Thursday. I would be really interested in knowing your conclusions regarding Sudbury schools. I unschooled for 3 years but struggled due to personal reasons and hence my child chose to go to a school similar to Sudbury except as I know there is no criterea around time they need to be there, and parents are actively involved and encouraged to attend school with the children. However, honestly – I have felt a lot of judgement from the unschooling community and it is causing me a lot of pain, pain I know I am responsible for because hey it’s my choice to be upset – but I struggle with it because I really identify with the values. I personally think that unschoolers should be encouraging and promoting the use of schools like this, because then at least children who have to go to school would have a much better life than the institutions based on coercian and pedagogy? The fact that unschoolers and the like are categorising schools and Sundbury type institutions is actually holding back the movement towards us parenting for a peaceful world and having an education revolution. Speaking as a long-time unschooler, lemme address your comment this way. If you chose to be vegetarian and joined a group of vegetarians then chose to eat meat twice a week, would the vegetarians consider you to still be a vegetarian? Would they “judge” you about that choice? If you’re not unschooling, you’re not an unschooler. If you consider that being “judged” then yes, I (at least) do judge you, just as someone who chooses to be a Christian can be judged to be Christian, etc. School, any school, is not unschooling; so IMO unschoolers should *not* be promoting Summerhill, Sudbury, or any other form of brick and mortar school. Your use of “judge” implies superiority and dismissal as inferior. You’re probably right. So what? You’ve chosen to not be an unschooler. If you left vegetarianism or Christianity for something else, don’t you think those groups would judge you, probably in a slightly perjorative sense? If you’re happy with your choice, embrace it, enjoy it. But don’t expect unschoolers to support it as unschooling. Okay Frank but if you are not unschooling because you believe in its values – then why? Who are you doing it for? If not for a peaceful world then what? Not all people can unschool that is my point – and if they cannot, then this is the next option isn’t it? What about people who align with the values but there is a family tradegy and they need to work, or they need some space and support to heal? Comparing meat eaters and vegetarians is not at ALL the same, and very black and white! Sudbury school and other institutions share the SAME values as unschooling – free play, child led, the child is in control of their own life – you could argue that they do not have access to whole life learning but they do because they choose to go to school trips etc, not quite the same no but still they have choice. Interestingly – a person who was BOTH unschooled and went to Sudbury posted on here – and she said that the experience for her was the same, only that Sudbury had more social aspects. I go to school with my children most of the time they are there, as do lots of other parents – because we want a learning community and I believe that is more natural than being cooped up at home in a nuclear family. What is the difference between an unschooling group that meets up several times a week at a venue and a democratic school? If there is high parental involvement and the expereince is the same for the child then why do you have such a harsh judgement? One could argue that your house is a school then, because that is bricks and mortar, as long as there are people collecting in an environment and there is learning support available – a house, whatever, then you judge it as not unschooling? I disagree that the only reason to unschool is for your concept of a “peaceful world,” whatever that means. I also disagree that unschooling and Summerhill/Sudbury share the same values. They migh share some commonalities, maybe even many commonalities but not (necessarily) the same values. My younger daughter went to Summerhill when she was 11-12. It was certainly not (U.S. public) school but it wasn’t unschooling. Certainly, not everyone can, or wants to, unschool. That’s clearly a matter of choice. Just like it’s a choice to eat meat instead of just vegetables. But when I choose to eat meat I am not a vegetarian. I’m still a perfectly wonderful human being but I am BY DEFINITION not a vegetarian. Why do you impose the limitation of “cooped up in the nuclear family” on unschooling, thus defining it as necessarily less social than Sudbury et al.? Is your child really “free” if they’re required to go to this (non)school and abide by the (democratic though they may be) rules imposed there? These rules are democraticlly derived but they are rules imposed by an external authority on the student, nonetheless. My “judgment” is not one of perjorative denigration, although I absolutely do not equate unschooling and Summerhill/Sudbury schooling. It is merely/mostly one of *definitions*. If you’re signed up for and attending a school regularly, a school which has rules and constraints like attendance (democratically arrived at or not), you are not unschooling. Period. That doesn’t mean that you are an inferior human being, just as meat eaters are not (necessarily) morally inferior to vegetarians; but it does mean that you are not the same, because you have chosen to be something else. Do whatever you want but you really shouldn’t expect those who do something different to cheerlead for you because you chose to be unlike them. I hear what you are saying Frank – but my daughter chooses if and when to attend – so it is her choice whether or not she goes. There are no constraints. And she chooses to go because she likes it – so are you telling me that because I respect her wishes that is not unschooling because I thought unschooling was when you follow the child’s need for autonomy? Furthermore the children themselves come up with the school rules; they create them; they own them and I think it is a very important process for them in defining repesctful boundaries for themselves, while also respcting the needs of others. And is this not what we do in a family? It has been very empowering for her! And that is my point… you are saying I chose not to be like an unschooler because I respected my daughter’s choice. We started to research free schools or democratic education centers (we were listening to Naomi Aldort’s interview where she talks about them) and she had an interest. IF I said no to her interests, whose autonomy and needs would I be following? I cannot stop her from going to a free school under the label of “protection” because what am I protecting her from? My own fear of not belonging to a label anymore? I guess if unschooling means following the adults need to define what unschooling “is” rather than supporting my children, then I would rather not associate because I attain to looking for truth and unconditional love of everybody and everything regardless of color creed. I am at home with my othere children, still following their interests – does this mean I am a fraud? If I am not an unschooler while unschooling my other children; then what am I??? My daughters are both taking a full course load in college right now. They are college students; they are not unschoolers, no matter what they did last year, or last decade. When my younger daughter was at Summerhill, she was not unschooling, she was functioning in the context of Summerhill. She was a Summerhill student. Your daughter is functioning in the context of your “free school;” she is not unschooling. Naomi Aldort is not an unschooler, Dayna Martin is… well, I was raised to be a gentleman so I won’t comment about the Martins beyond saying that they are fame-seeking fakes. If you want to educate yourself about unschooling, read John Holt, Sandra Dodd’s website (http://sandradodd.com/unschooling) or Joyce Fetteroll’s website (http://joyfullyrejoycing.com/). Free school, democratic school, Hogwart’s, or whatever is simply not unschooling. That doesn’t mean it’s bad, but it is different. Green is not red. Up is not down. School is not unschool. There’s an old joke about New Englanders. A guy who’s lived there for decades asks the natives why he doesn’t count as a New Englander. Their answer is, “If a cat has kittens in the overn, that doesn’t make ’em biscuits.” Even “being home with the kids” is not necessarily unschooling. Unschooling is unschooling. Thank you – I have read John Holt, Joyfully Rejoycing, Jan Fortune Wood, and many more – a whole bibliography’s worth. I do not think of myself “just at being home with the kids”. I am totally responsible for supporting all my children’s educational needs and I will be here for there as long as they need me. I peronally find some of the discussion on Sandra Dodd’s forum highly evaluative – and it makes no sense for me as a parent to say that I want to be respectful of my child, while simultaniously not being respectful and nitpicking about others. I am trying to model good behviours hard as it is. I think that there is a real need for change in all educational systems, in humanity as a whole – and I guess I get frustrated that so few people are conscious of what is required for change. I do appreciate your comments and debate. Very interesting. Have a good day. This is a great discussion on something that has been on my mind lately. I went to Summerhill for a year when I was growing up and loved it. Loved the freedom, the community. Learnt lots about myself and responsibility. I left because I missed my family, unlike Sudbury its a boarding school. Now I choose to unschool my kids, they are still young and staying close to the family is definitely their and my preference for now but I can see that sometimes they need more freedom to explore and play with their friends without parents hanging in the background and I struggle to find these opportunities. In many respects I see that Summerhill/Sudbury is similar to what we do now. Yes there are classes at these schools but they are free to attend or not, just as we go to local workshops and meetups that we sometimes commit to for a while and then stop. I think your point about the parental influence is important. The relationship between parent and child is by its nature different to that between an older child and younger one in a community, or a non related adult and child. In the non-family relationships the pairing can learn from one another, enjoy each others company, influence to a degree and then part. With a parent/child dynamic it is always emotionally charged is it not? Our children depend on us to keep them safe which perhaps prevents them from taking full responsibility for themselves? They also seek our love and approval, which hopefully we able to give and they feel they receive unconditionally, but still it is a factor in the relationship that is not there in others. It is a pity that there are not as many choices here in the UK as you have described in the US. Summerhill is the best option yet I think the separation of boarding would be too much for me or my children to bear, and ask someone else described they are quite dogmatic about parents not being involved, presumably so the kids can be completely free of that influence. Personally I think that is taking it too far, but I guess it depends on the kids and their relationship to the parents whether thats a good thing or not. I would love a local school that we could attend/be involved in together part time or for as many hours as seems right for the child. As many local unschooling families as there are, and as many meetups that we attend its not quite the same as having a community base with shared facilities where you feel comfortable and at home yet also free and with your peers. I remain torn.